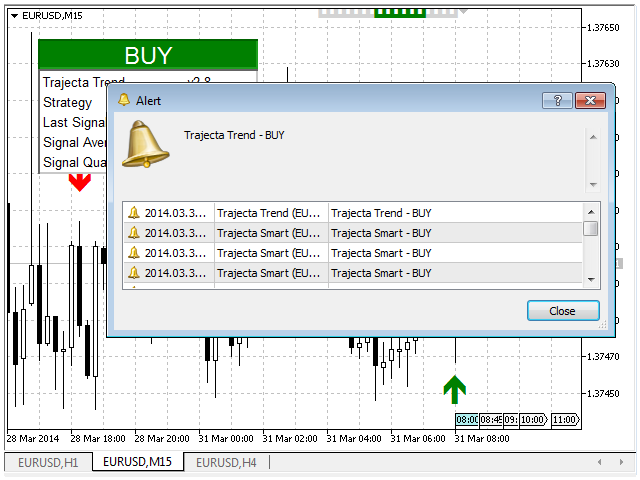 Trajecta Trend is an innovative semi-automatic trading signal indicator, for any pair or period, that has a built in system to detect the best and worst moments of the signal. 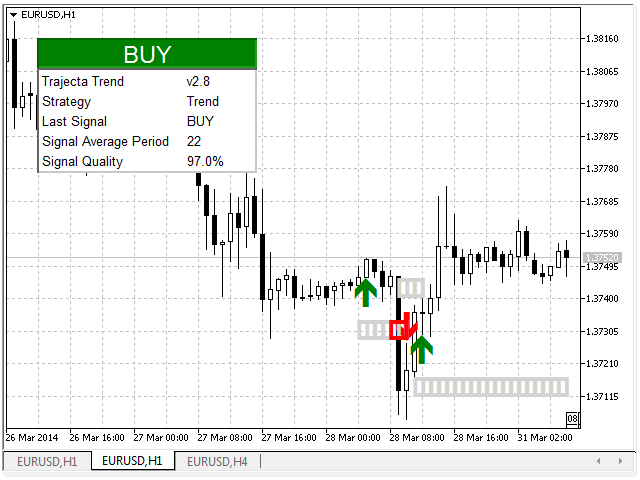 The idea is to give visibility to the trader to the best time to trade, with a trend panel and easy visual backtesting of the strategy for any pair or timeframe. 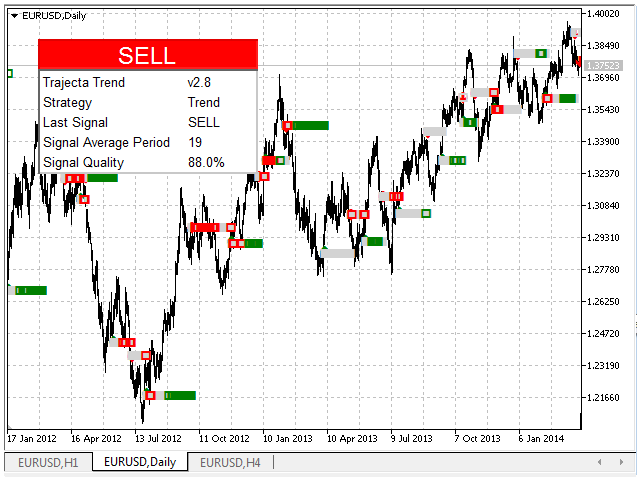 The strategy Trend is based on trend reversal and following momentum detection. It can be used at any timeframe or pair, but it is very important to choose the best one with a performance higher than 90%. 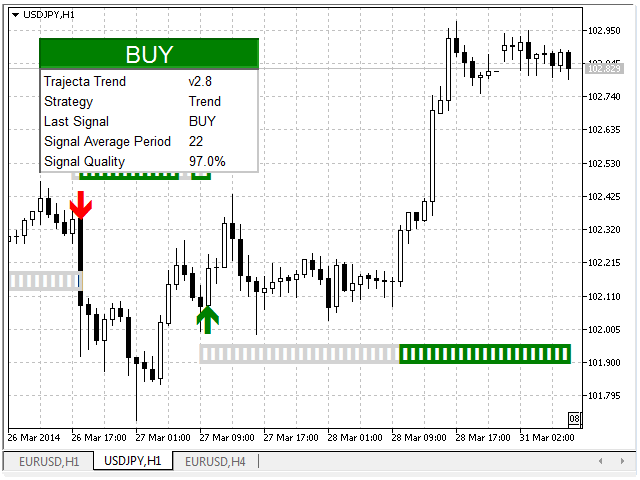 Wait for a Buy or Sell signal alert (be patient if you are using periods higher than M30). If the winning trades performance is lower than 90% go back to step 1 and change the pair, period or Stop Loss/Take Profit.